Below is the most recent press release highlighting DCCXT, WarehouseXT and Intersystems Ensemble Integration Platform. Together they've helped bring productivity breakthroughs for Goebal Fixture and Environments. CAMBRIDGE, Mass.—September 5, 2012—InterSystems Corporation, a global provider of advanced technologies for breakthrough applications, today announced that Goebel Fixture & Environments has significantly improved inventory accuracy and increased productivity by integrating warehousing and manufacturing systems across four Minnesota locations. Goebel implemented DCCXT’s Warehouse XT system for warehouse management and product tracking, which is based on the InterSystems Ensemble® platform for rapidly integrating and developing connectable applications. DCCXT is a part of Data Communications Corporation, a worldwide leader in technology since 1969. 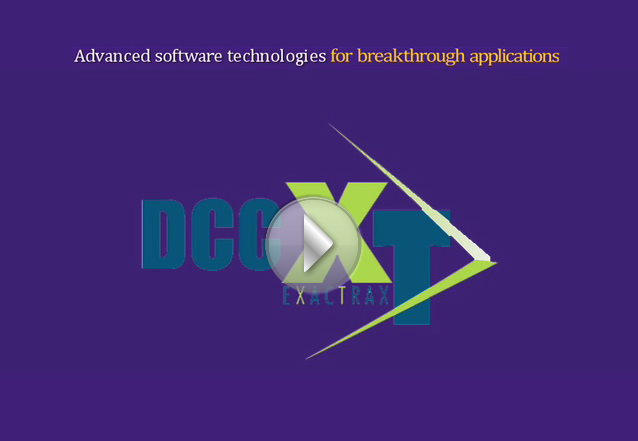 DCCXT is the newest in a long history of successful software, technology and information management companies under the DCC umbrella. Now the DCCXT Division provides outstanding technology solutions in the DCC tradition, utilizing our innovative EXACTRAX technology. Our products include Warehouse XT (RF and RFID solutions for warehouse management and product tracking) and other innovative products. Click on the video above to hear Nick Carter elaborate on how DCCXT is developing seamless integration solutions through InterSystems.